(originally posted at #HIST3812, my course blog for this term’s History3812: Gaming and Simulations for Historians, at Carleton University). I play because I enjoy video games, obviously, but I also get something else out of it. Games are a ‘lively art’; they are an expressive art, and the artistry lies in encoding rules (descriptions) about how the world works at some microlevel: and then watching how this artistry is further expressed in the unintended consequences of those rules, their intersections, their cancellations, causing new phenomena to emerge. This strikes me as the most profound use of humanities computation out there. Physicists tell us that the world is made of itty bitty things that interact in particular ways. In which case, everything else is emergent: including history. I’m not saying that there are ‘laws’ of human action; but we do live in this universe. So, if I can understand some small part of the way life was lived in the past, I can model that understanding, and explore the unintended outcomes of that understanding… and go back to the beginning and model those. I grew up with the video game industry. Adventure? I played that. 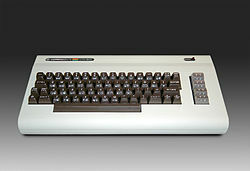 We had a vic-20 . If you wanted to play a game, you had to type it in yourself. There used to be a magaine (Compute!) that would have all of the code printed within, along with screenshots. Snake, Tank Wars – yep. My older brother would type, and I would read the individual letters (and spaces, and characters) out. After about a week, we’d have a game. And there would be bugs. O lord, there were bugs. When we could afford games, we’d buy text adventures from Infocom. In high school, my older brother programmed a quiz game as his history project for the year. Gosh, we were cool. But it was! Here we were, making the machine do things. As the years went on, I stopped programming my own games. Graphics & technology had moved too fast. In college, we used to play Doom (in a darkened room, with the computer wired to the stereo. Beer often figured). We played SimCity. We played the original Civilization. These are the games that framed my interactions with computers. Then, after I finished my PhD, I returned to programming when I realized that I could use the incredible artificial intelligences, the simulation engines, of modern games, to do research. To enhance my teaching. I got into Agent Based Modeling, using the Netlogo platform. This turned my career around: I ceased to be a run-of-the-mill materials specialist (Roman archaeology), and became this new thing, a ‘digital humanist’. Turns out, I’m now an expert on simulation and history. And it’s all down to the fact that I’m a crappy player of games. I get more out of opening the hood, looking at how the thing works. Civilization IV and V are incredible simulation engines. So: what kinds of history are appropriate to simulate? What kinds of questions can we ask? That’s what I’m looking forward to exploring with you (and of course, seeing what you come up with in your final projects). What made it strange? Was it the content, the mechanics, the interface? I played one once where you had to draw the platform with crayons, and then the physics engine would take over. The point was to try to get a ball to roll up to a star. Draw a teeter-totter under the star, and perhaps the ball would fall on it, shooting the star up to fall down on the ball, for instance. A neat way of interacting with the underlying physics of game engines. This is why I play. Because it makes me think differently about the materials I encounter. Your post almost perfectly captures why I am having a blast playing (or learning to play) Crusader Kings II.